“El Noi de la Mare” (“The Son of Mary”) is a traditional Catalan folksong. Originally a Christmas carol, this anonymous, sixteenth-century melody was arranged for guitar by Miguel Llobet (1878–1938) and brought to prominence by the great twentieth-century guitarist Andres Segovia. 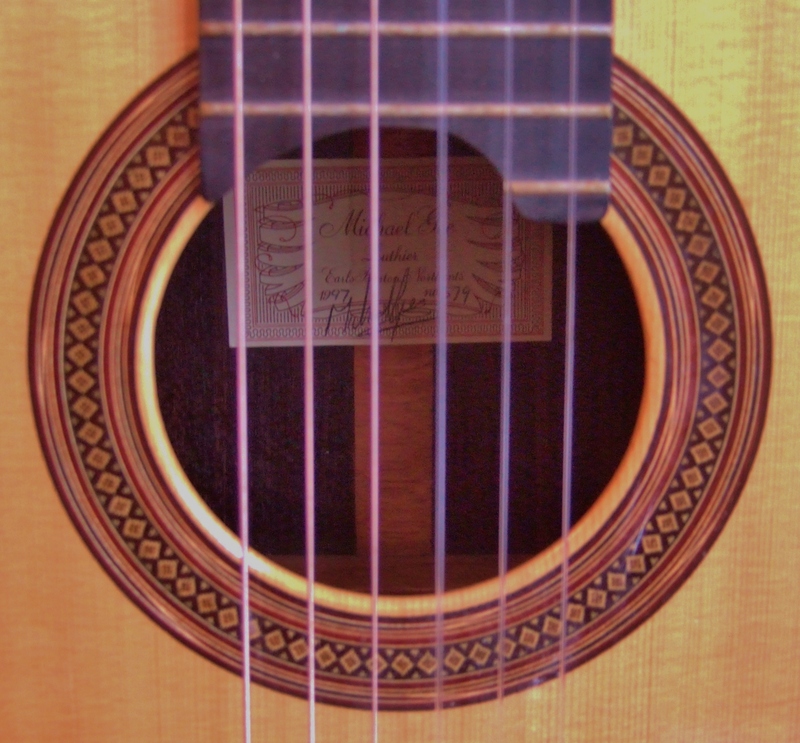 Since then, generations of classical guitarists have played it as an encore. I first heard “El Noi de la Mare” some thirty years ago. Recently, I chanced to hear it again and decided to add it to my repertoire. After working out the technical problems of the piece (its simple, arch-shaped phrases belie complex fingerings and challenging position-changes), I recorded it, hoping to gain some insight. To my chagrin, I discovered that I had unintentionally arpeggiated many chords, which is to say, I had broken them into successions of notes. I was reminded of a comment by the concert guitarist Alice Artzt, for whom I once played a movement from Bach’s first cello suite. “You have Segovia’s disease,” she wryly noted, having listened to me break chords that should never have been broken. To arpeggiate a chord is not in itself a technical flaw. Properly executed and appropriately placed, arpeggios can impart a harp-like feeling to a phrase or cadence. Played on the guitar, arpeggios may also add a dreamy Spanish flavor, evoking afternoons in Madrid or nights in Barcelona. Andres Segovia made frequent use of arpeggios, even in the Baroque music he transcribed for guitar, and at times they seemed strangely at odds with the music he was playing. In my youth I listened avidly to Segovia. And as I learned in recording “El Noi de la Mare,” I have carried his manner with me to this day. Technique, like the body’s memory, is gloriously reliable and stubbornly resistant to change. Try to alter the way you hold a fork, or the way you face your spouse when angry. If you really concentrate, then it isn’t hard to do. But the moment you are distracted—the moment you begin to rely on your habits, your technique—you slip back into established patterns. Fixing mistakes is easy. Correcting your technique means undoing all your previous practice. You have to replace one habit with another, better one. Digital recording provides an immediate, accurate, and unforgiving means by which a musician can become aware of unconscious habits. And the same might be said of Zen meditation, which brings real-time awareness to our habitual responses. Habits of mind, we sometimes call them, but they are also habits of feeling, perception, and moral judgment. The way we face our spouse (or partner or parent or child) may well be habitual, and so may the cast of mind we bring to that encounter. What the satirist Jonathan Swift called the prejudices of our education and Zen calls our conditioning often determines what we see and how we see it. And rather than erode, our mental ruts tend to deepen as we grow older. Yet it is possible to “take the backward step that illuminates the self,” as the thirteenth-century Zen master Eihei Dogen advised us to do, and to become aware of our mental habits even as they are arising. Should we do that, we may find that we are firmly attached to our habitual responses. As the meditation teacher Pema Chodron puts it, we wear them like clothes, and we don’t want to take them off, lest we be “too exposed, naked in front of everyone.”** Through diligent attention, however, we can weaken the hold of habits in our lives. We can come to see them clearly. And over time, we may also learn how to drop them, clearing the way for a fresh response. According to one report, the sheet music for “El Noi de la Mare” was open on Andres Segovia’s music stand on the day he died. It may well have been the last piece he played. What better tribute to his memory—and to the music itself—than to play the piece with as much freshness as one can muster, adding arpeggios only when indicated or when the music itself invites them? And what better way to honor our everyday experience than to respond as openly as we can manage, unimpeded by our longstanding habits of mind? *Glenn Kurtz, Practicing: A Musician’s Return to Music (Knopf, 2007), 76. **Pema Chodron, Taking the Leap: Freeing Ourselves from Old Habits and Fears (Shambhala,2009), 9. Andres Segovia’s rendition of “El Noi de la Mare” may be heard on YouTube at http://www.youtube.com/watch?v=Pb1MNUoJg6c&feature=related.